Stop by Café Maggie and enjoy a break, as you tour the property and browse the Show House Flower Shop. A treasured tradition at the Show House, Café Maggie serves light lunches in partnership with the Illinois Street Food Emporium. Don't miss our signature handmade pastries! 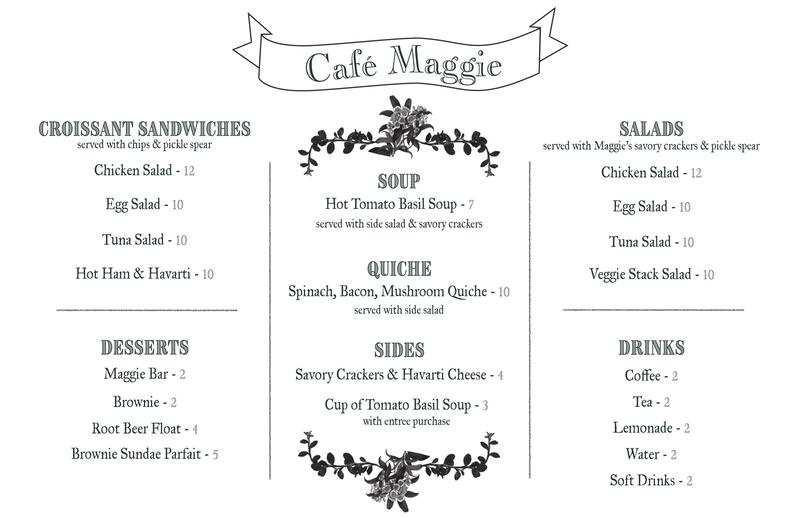 Café Maggie is open from 10:30 a.m. to 5:00 p.m., Tuesday through Sunday. Extended hours on Thursdays. Closed Mondays.